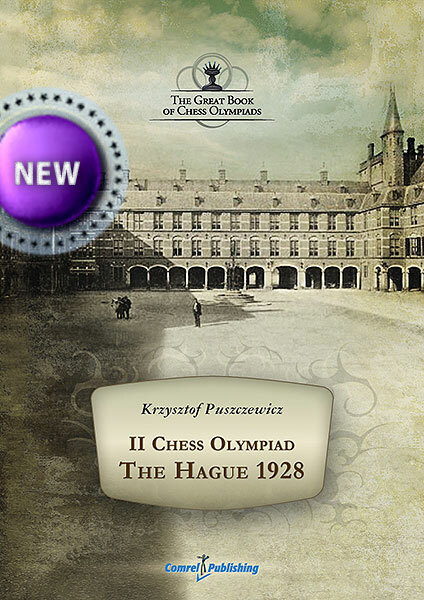 "II Chess Olympiad - The Hague 1928" is finally available in Apple iTunes. 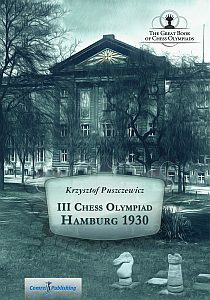 They have shortened the full title to "II Chess Olympiad", but we hope it wouldn't make any problems with finding ebooks. 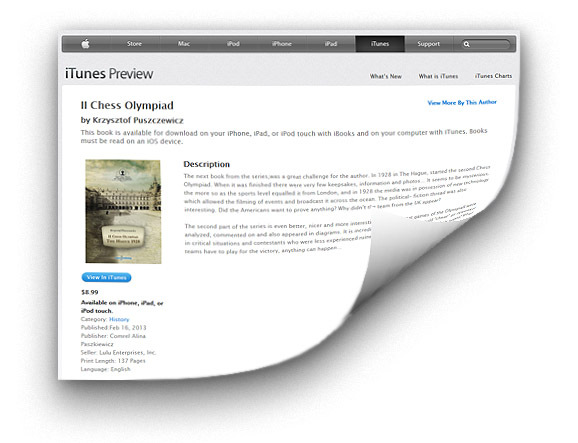 The PDF format is being ignored by e-bookshops. After the fact, that the next big distributing platform withdrew the PDF version of our book from the sale and it left only the ePUB and MOBI versions, we decided to think about the future of the PDF format. 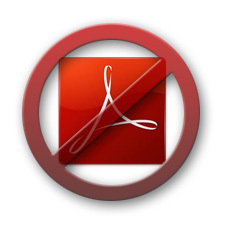 Looking for a company which will sell the books in the PDF format seems to be a short–lived way to lengthen the life of the Adobe format in a world of eBooks. Our first two books were prepared to the PDF format, but it makes no sense to lose the power and energy if this format is not supported by distributors. Therefore, the next – The III Chess Olympiad –Hamburg 1930 – will be published only in the ePUB and MOBI formats. The English version is already available! The English version of The II Chess Olympiad has just appeared at the bookshops Amazon.com and Lulu. Soon, the book will be available at the Apple iBookstore and NOOK. The latest update of the book "II Chess Olympiad – The Hague 1928" is available for downloading. We made some alternations and improvements so it is worth downloading the version with the sign "2.2" from the bookshop.